TAG Heuer made a Fashion Tech statement, today at the LVMH Tower in New York City, with the launch of its TAG Heuer Connected Android Watch. We have all the news for you, from specs to strap colours and from price to availability. Check out the official TAG Heuer Connected video and read the latest news below. 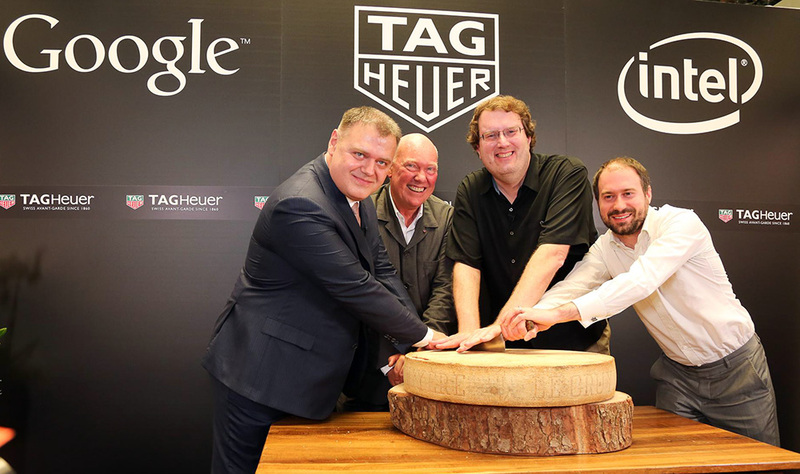 The watch was announced for the first time at Baselworld in March this year when the CEO of TAG Heuer – the biggest watchmaker of he French luxury group LVMH’s (Louis Vuitton Moet Hennessy) – announced a partnership with Google and Intel. 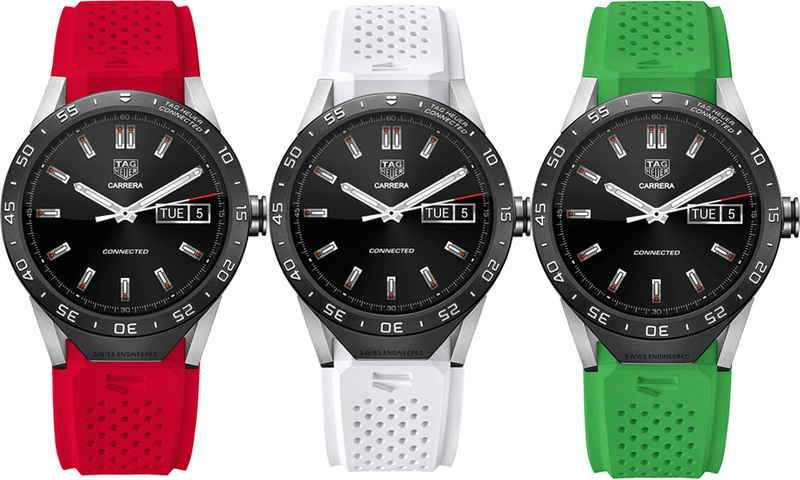 TAG Heuer Connected has a design inspired by the Carrera Heuer 01 watch. The case is made from titanium and it has a round shape completed by a digital crown. The crown lets you control the watch, like the one on the Apple Watch. The screen of the TAG Heuer Connected watch is non-stop on, and it shows a classic TAG Heuer Carrera dial. 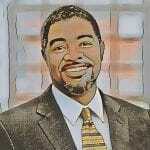 But, once the screen is touched, the digital options become available. The watch strap is made of rubber and it comes in seven colours. Seven if we consider black a colour. If you order your TAG Heuer Connected online, you won’t be able to order any coloured straps but only the black one. The coloured straps are available in-store only at the moment. 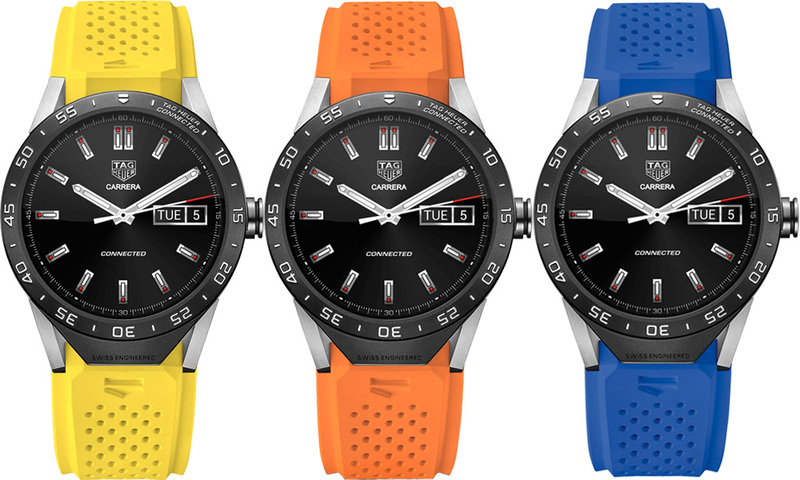 The watch comes with exclusive apps preinstalled, like GolfShot, RaceChrono ProInsiders, or ViewRangers. Don’t worry, the Android Wear apps you are used to are still available for download from the play store. 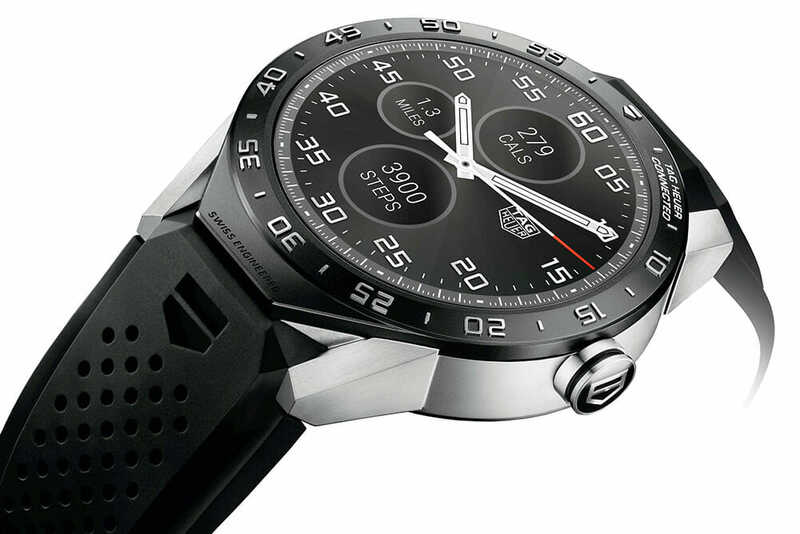 TAG Heuer Connected does not to use a Qualcomm’s Snapdragon processor like most Android Wear watches. Thanks to its partner, TAG Heuer Connected is powered by an Intel Atom Z34XX CPU, clocked at 1.6GHz. 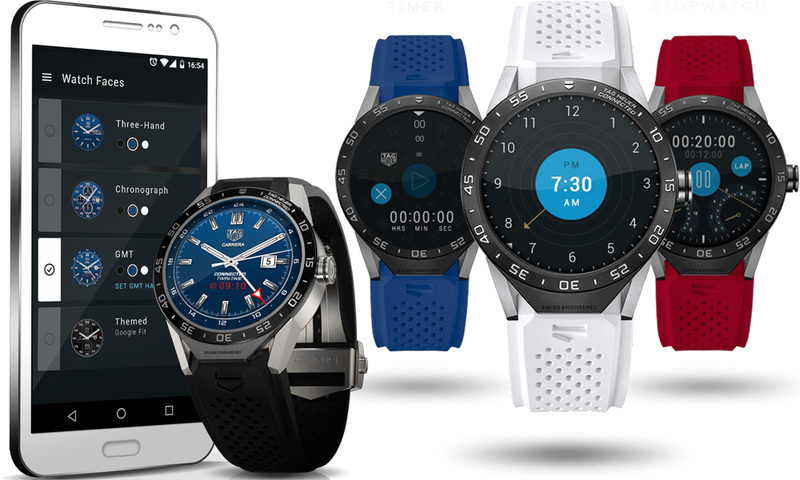 TAG Heuer Connected runs on Android Wear and is compatible with smartphones that run Android 4.3 and above as well as iOS 8.2 or newer. Intel’s low power CPU together with the 410mAh Li-Io, give the TAG Heuer Connected watch almost 26 hours of usage. It is more “juice” than what the battery inside the Apple Watch or most Android smartwatches on the market offer at the moment. There is a saying that more than 80% of the value of a Swiss watch comes from the “Swiss Made” label. It must be true as TAG Heuer wants to have the same “mark” applied to the new watch. Despite having the watch assembled in Switzerland, the internal parts are not made in Switzerland. The TAG Connected watch is cheaper than the most expensive Apple Watch but more expensive than the LG Urbane Luxe, which was the most expensive Android Wear watch, until today. If you are worried that your TAG Heuer Connected watch will become obsolete, TAG has a nice surprise for you. At the end of the two-year warranty period, TAG Heuer will let you swap your watch for a mechanical watch. There is one trick though. You will have to pay an extra $1.500 and also trade-in your TAG Heuer Connected watch for the analogue TAG model. Luxury always comes at a premium price and TAG Heuer, a top luxury company is the best at this game. It is a premium you’ll pay for the brand name and the exterior design as the “soul” of this watch is still Android Wear. I am surprised to see the HR sensor missing in a device where the price is a not an issue. But, at the end of the day, if you are a lover of luxury watches, this is a worthy addition to your collection.